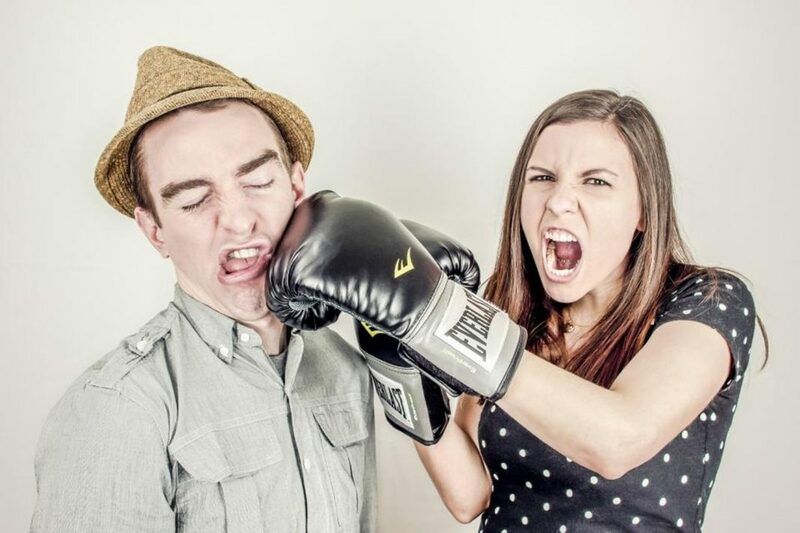 Home Startup Startup Articles How can you manage office conflict among your employees? In a company we are facing many people from different cultural backgrounds and habits that may cause irritation for other being there and this may lead to a type of argument that we will call it office conflict from now on. It may happen in any company and we are not here to discuss the reasons behind its formation but instead in this article we will focus on after match of office conflict and the ways to manage this problem in your startup team, so grab your pen and papers and take note because a office conflict may already close to happening in your team and you should be ready for it. Before you do anything, you should know what happened. If you don’t know why, when and how this office conflict happened then you will most probably misjudge the situation and this may lead to a destructive decision instead of a positive one. To know what happened, check your evidence before anything else. Check the security camera feed, talk to people who witnessed the office conflict and get all the details you can get. Obviously it can be a little bit weird to do all this extremely fast and it may cause a sense of insecurity among your personal so try to manage it with a steady pace and if you want to talk to people who have seen it then try a casual approach instead of a bossy attitude. Don’t act like an investigator but instead of that try to make people find comfort in expressing the situation to you. For example talk to some people over a coffee or ask about this incident after you had a meeting about a business matter with someone in your team. Do not let others know that you are focused on this situation because it will affect their response due to fear of damaging their coworkers or even fear of talking to boss. On the other hand, never trust only one or two set of evidence. Try to talk to as many people as you can but of course they should be witnesses of that specific office conflict. After that you can talk to managers of both sides of your office conflict. Managers know the employees better than you do and while taking to them, there is no need to act as casual as talking to normal employees. Managers should know that you take these things seriously and this may even reduce the frequency of office conflict because the managers will take a little bit of extra measures from that point onward. But do not irritate them and don’t let them think that you might point the blame finger toward them. After that, you will be ready for your next step because you mostly know what did happen during office conflict. There are 3 ways you should talk to both sides; first one is talking to each one of them individually. In this approach you can create a friendly environment that let people express themselves. Talk to them and explain that this kind of office conflicts can hurt both company and participants and you have to be serious about it but before anything, you need honesty from your employee and you will leave it to them to explain what happened. During the time they try to talk, never cut them and never try to show sympathy or any signs that you are taking their side. If they feel such thing then they may start exaggerating and this will be far from the truth you need. The second way is calling both sides in your office and talk to them at the same time. This one has a little bit of risk because if they don’t show the respect toward you and your position and continue the argument then you may have to fire them both and it is a loss for your company. But if you manage this then you can even solve things within that room. There might be silly things behind an office conflict and you can solve it for both sides like that but remember that you have to be experienced before going for this second way. The third way is the easiest of them all and in this method; you will call mangers and both sides in a meeting. In there you have to let your managers take most of the action and your present should be felt more like an anchor to level things up. This case can even happen after you have made the first approach and it not a big deal to go for first and then third approach. Well, you have the information, you have heard both sides, you have talked to witnesses and managers and know you know what led to office conflict. It is time to show your boss side as we have discussed it in another article before. Try to get the decision which has the best effect on the company. If you think that they can’t control themselves and will have another collusion in the future then try to relocate one of them to reduce the possibility of their face off into minimum. But this is possible only if your company is big enough and if it is not, then you should either leave them with a warning or if there is a prior case of similar incident then let one of them or even both of them go and replace them in your team. It may sound harsh but it is what you may need to keep your company survive. Remember that giving too many chances to people who have caused office conflict will make things worse because others will think that the consequence for such action is not sever enough to prevent them from committing such act and soon you may lose control over your company. Never try your emotions get in the way of your judgment when it comes to office conflict and try to get the best decision. You can even ask your managers to help you with decision in these cases but take the final one yourself and consider what they said as a type of advice and consult. In most of the cases, one set of action will prevent the next set of office conflict but remember that if you act too harsh then fear will overtake your team and this fear may lead to losing creativity in your team. This experience may help you manage the next occurring easier and that’s why sometimes in companies with seasoned CEO or managers, we almost see no such problem. Remember that in the worst case scenario, you will lose two people and get a huge lesson and experience and if you let the same thing happens over and over then you should rethink your approach toward managing a company. We said earlier that you have to take note from this article which is true but it’s not the whole deal, there are ways that you may know out of your personal experience with office conflict and if you have such experience then please share it with others by leaving a comment down below.